Over the weekend Microsoft has announced that a new update for the Xbox app on Windows 10 has been made available, as part of Microsoft’s continued efforts to provide monthly updates to the Xbox app. 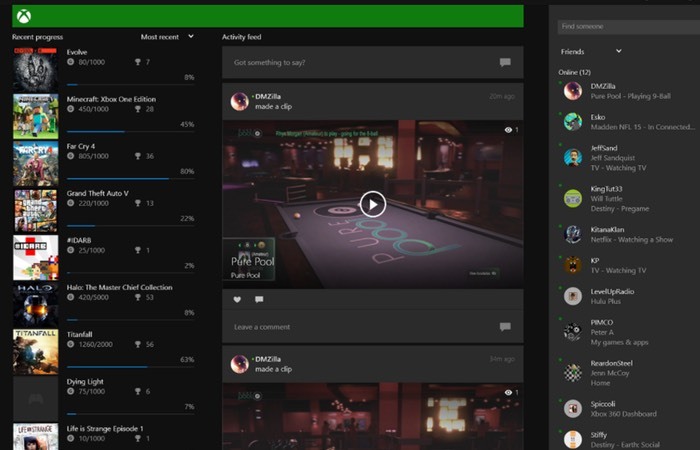 Microsoft has been taking feedback from the Xbox community about how the new Xbox app on Windows 10 can be improved and this month’s update brings with it a few more tweaks and provides a glimpse at what you can expect in the future. Xbox owners will automatically receive the newly updated Xbox app for Windows 10 when it becomes available in the Store (beta). Once the Xbox app is downloaded and installed the version number you should see will be 2.2.1502.02017 or higher. – Top Navigation Bar. The smiley face can be used to send feedback about the app to the product team, get access to forums for the Xbox app, and you can now rate the Xbox app. – Friends. The user experience for Friends has been updated so that you now see Suggested Friends under a Suggestions header at the top of the Friends list, with a See all button to browse the entire list of VIPs on Xbox and People you May Know. Additionally, you can now start typing in the Friends search box to instantly find specific friends. – Settings. Small fit and finish items were added to the settings page. For more information on the new Xbox App for Windows 10 jump over to the Major Nelson website for full details and the ability to sign-up to help its development, via the link below.